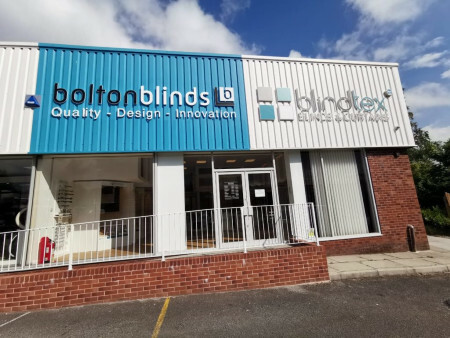 Bolton blinds, we believe quality and service must come first, with a massive choice of window dressings such as our wide range blinds, curtains and shutters and a colour range unrivalled in the trade. We believe we will have just what you need. Come and visit our showroom in Bolton on Wigan Road (Straight off the Junction 5, M61) where you can take time to find what suits your needs. Or for a free competitive quote arrange an appointment today! We provide a complete measuring and fitting service. As well as having our town center showroom, which is one of the largest in the North West, we also supply to the trade, interior desginers and the commercial sectors, particularly in the contract field. Our main principles are quality and service; we will not compromise on these two important aspects of our business. We believe by not compromising on quality, we are giving our customer peace of mind and the confidence to know they are buying the very best, at an affordable price. Visit our showroom and experience for yourself our warm and friendly service. Vist our showroom and experience for yourself our warm and friendly service. View our extensive range of blinds. Visit our showroom or you can request free appointment and we will come to you! This will ensure that you can have a simple one stop shop for all your home furnishing needs. All of our products are sourced from professional factories worldwide and we offer probably the largest selection of fabrics on the online platform. Our free sample service will ensure you can touch and feel the texture of our fabrics prior to ordering and is an ideal way to ensure you are selecting the right product for your home.